One of the primary concerns most people have when looking to finance a car is the size of the down payment that is needed. Many tend to wonder how long they would need to save for a down payment and if the eventual size of their down payment will have an effect on the price of the vehicle in the long run. The size of your down payment matters a lot when it comes to getting yourself a car. In fact, the size of your down payment could be the difference between actually getting into a vehicle, or not. Large Downpayment = Dream Car, Or Does It? If you walk into a dealership and drop a hefty down payment, you paint a picture of financial stability. You have simply communicated to lenders that you are capable of managing your money and won’t have any problem paying back what you owe. They often reward that with an interest rate that reflects your credibility. On the other hand, if you were to make very little down payment to a dealership, you may appear to a lender that you are unable to afford what you intend to buy. In that scenario, though many factors can cause this, your interest rate may come back higher than you would like. The cost of a vehicle is an important consideration with regards to your financial health. Another thing worthy of consideration is your month to month expenses and your capacity to make ends meet. Making a large down payment simply means you would pay a lower monthly payment, thereby allowing you to meet your financial obligations as well as assist in your credit building effort. Making huge down payment means you would need to borrow less, and this also means that your interest will be less. This would bring down the total that you would have to pay for the vehicle and again assist in the credit building process. Making a large down payment means you would need to borrow less, and this means you will be paying the amount you borrowed in a shorter period of time. 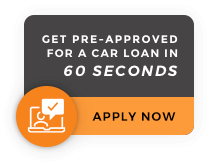 This encourages a faster credit building effort. For those who may have a less than average credit score, making a large down payment can improve your chances of being approved for financing. Smaller loan + less risk for the lender = more approvals. Sometimes it really is that simple of an equation. Now that we have identified all of the advantages of making a larger down payment. We are still left with question “What’s the recommended down payment amount?”. This is unarguably the first step you must take when considering securing a loan. There are many sites where you can subscribe to a free credit report. Many dealership websites such as DriveNation even have a free credit score reporting tool. Your credit report will list out the debts you owe including credit lines that are available to you. It is important you don’t rush this process but ensure that every item listed in the report is accurate. You must report any information that you find in the report that is inaccurate to the appropriate authority. These agencies can help in the removal of any misinformation which may damage your credit score in the long run. What type of car are you looking forward to buying? The type of car that you intend to buy will also determine the size of your down payment. Buying a new car comes with a lot of benefits but a new car immediately begins to depreciate the moment you drive it out of the dealership garage, therefore it’s often smarter to pay a larger down payment on a new car. You must also have a good idea of the type of model that you intend to buy. There are so many types of cars, trucks, vans and SUVs that it may be overwhelming to figure out which to opt for. A good way to determine the model or type of vehicle you need is to ask yourself what you intend the vehicle for; are you intending to use it to haul cargos, or do you have a large family and would want something to transport them comfortably in. After arriving at a model and type, next is to look up the value of the model, this would give you a good idea of what you are saving for. What is the state of your credit? If your credit isn’t great, then your car loan would most likely come with terms that are not so favorable. In such an instance, it is advisable to grow your down payment to be as big as possible. A new car starts depreciating from the moment you drive it off the dealership. Therefore, it is advisable that you put down at least 20% of the value of the car. Older cars also experience depreciation, but not as fast as new models, therefore a down payment of at least 10% won’t be such a bad idea. You must also bear in mind that the bigger your down payment, the smaller the loan you have to secure, hence improving your monthly cash flow. What is the best offer you can get? There are so many offers available to you, but you must research and pick the one that is most attractive. Before you arrive at your dealership check your local bank or credit union to see if they can offer you attractive car loan terms. Though in-house financing at dealerships often provides access to loans and sometimes even rates, that other financial institutions can’t obtain, the important thing is to give yourself as many options as possible. Unfortunately, there is no ‘one size fits all’ rule for a down payment. In general, the more the better, but depending on your situation and the vehicle you’re buying, the amount required will vary greatly. At the end of the day, if your finances allow for it, put as much down payment as you can, and if you pick out a great vehicle the couple dollars either way won’t hurt the enjoyment you receive from driving it every day.